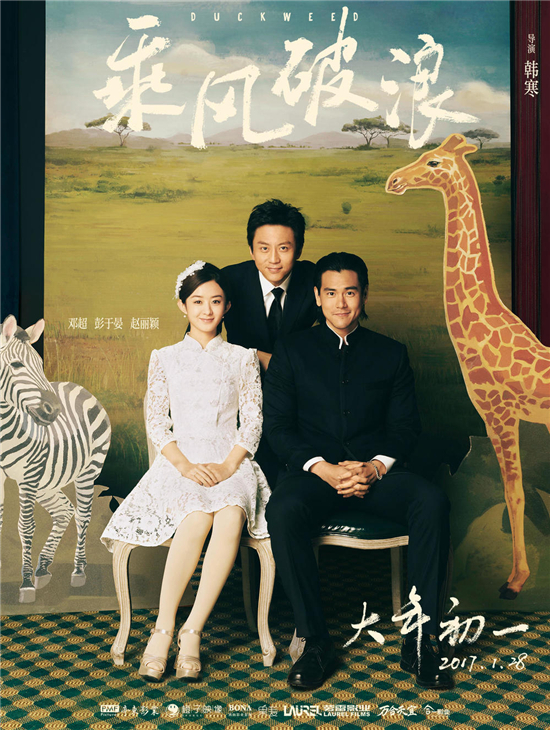 "Duckweed" is the second directorial work from writer-turned-director Han Han and stars Deng Chao, Eddie Peng and Zhao Liying. Han made his name in writing, but later seemed to have more passion for race-car driving. When his 2014 directorial debut "Continent" grossed 628.8 million yuan, he established his status as a filmmaker. "Duckweed" tells the comic and heartwarming story of a relationship between two generations in a small township. The film will debut in China on Jan. 28, 2017.